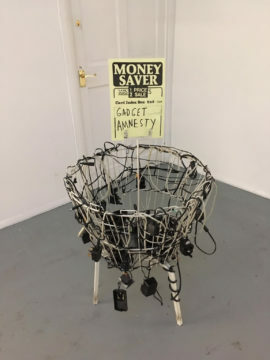 With Frieze London and Frieze Masters taking place in Regent’s Park, this week the a-n team has been busy posting images on Instagram from events across London, including the opening of the Art Licks Weekend, 1:54 Contemporary African Art, Sunday Art Fair, ‘Survey‘ at Jerwood Space, Tania Bruguera’s Turbine Hall commission, and Frieze London itself. 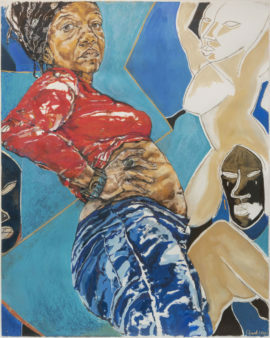 Although this year’s Frieze London art fair, which continues to Sunday 7 October, feels a little more restrained than usual, there’s still room for wildly odd and raucously sardonic works. Chris Sharratt reports from the Regent’s Park tent. 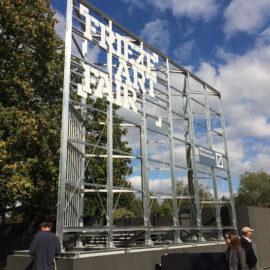 With London’s Regent’s Park taken over by two vast temporary marquees as the international art world descends on the capital for Frieze London and Frieze Masters, we preview both fairs and other art, craft and design fairs and events taking place across the city from 1-7 October.